This study examines the collective progression of Islamic politics between points of dissent and positions of power. 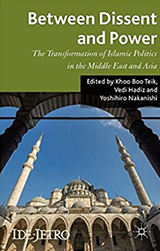 It brings about a more a serious understanding of Islamic politics by critically tracing the pathways by which Islamic politics has been transformed in the Middle East and Asia. Shaoming Zhou (ed.). Teaching Chinese: Challenges in a Globalized World. Fudan University Press, 2014. Chinese language has been predicted to become one of the two most important world languages alongside English. While some argue that the difficulty of Chinese linguistic features will make this vision impossible, others insist that China's growing economic might will make it equal to English in terms of world influence. 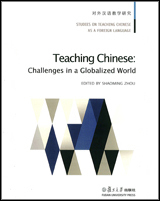 This volume focuses on the globalization of Chinese language, the teaching and learning of Chinese language in a global village and the challenges teachers and students will face. This book shows how the participation of interpreters as mediators changes the dynamics of police interviews, particularly with regard to power struggles and competing versions of events. Employing a range of approaches including conversation analysis, interactional sociolinguistics and legal narrative theory, Interpreter-mediated Police Interviews provides a detailed study of the impact of interpreter mediation on this area of the justice system. It reveals how turn-by-turn decisions of communication by all three participants, including the interpreter, affect the trajectory of the institutional discourse. 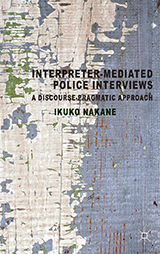 By providing a better understanding of police interview discourse and exploring the practical implications of interpreter participation, this book contributes to the improvement of interpreter-mediated investigative interviews and will be of great interest to legal professionals as well as interpreters and their trainers. 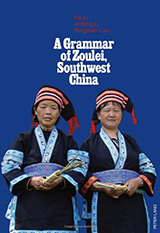 Zoulei is an endangered language spoken by several hundred speakers in China's Guizhou Province and adjacent areas. It is a variety of the Ahou dialect of the highly diverse Gelao group within the Tai-Kadai language family. Zoulei is a typical isolating and analytic language, basically monosyllabic, particularly with verbs, with a number of striking features that are generally not found in other members of the Tai-Kadai family. In the opening chapters, the volume describes the social, cultural, and linguistic organisation of this group, outlines the main points of Zoulei phonology, and presents an overview of the grammar. In succeeding chapters, it examines a number of grammatical topics in greater detail, including phrase and clause structure, verbal syntax, discourse particles, among others. The volume also includes a vocabulary and several texts recorded from village elders. The urbanisation of China over the last three decades has been a hugely significant development, both for China's reform process and for the world more generally. 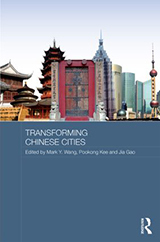 This book presents recent research findings on China's continuing urban transformation. Subjects covered include the decline of the rural-urban divide, the spatial restructuring of Chinese urban centres and urban infrastructure, migrant workers, new housing and new communities, and "green" responses to urban environmental problems. The book is particularly valuable in that it includes much new work by scholars based inside China.